The Equation of Time is a horological complication that indicates the difference between the real solar time and the mean or civil time. In fact, because of the elliptical shape of the Earth’s orbit round the Sun and the axial tilt of the Earth’s rotation in relation to the equator, the duration of a day measures exactly 24 hours on only four occasions in one year, while on all other days there is a difference between apparent time (solar time) and conventional time (mean time) which varies between being up to about 15 minutes ahead or behind, depending on the time of year. 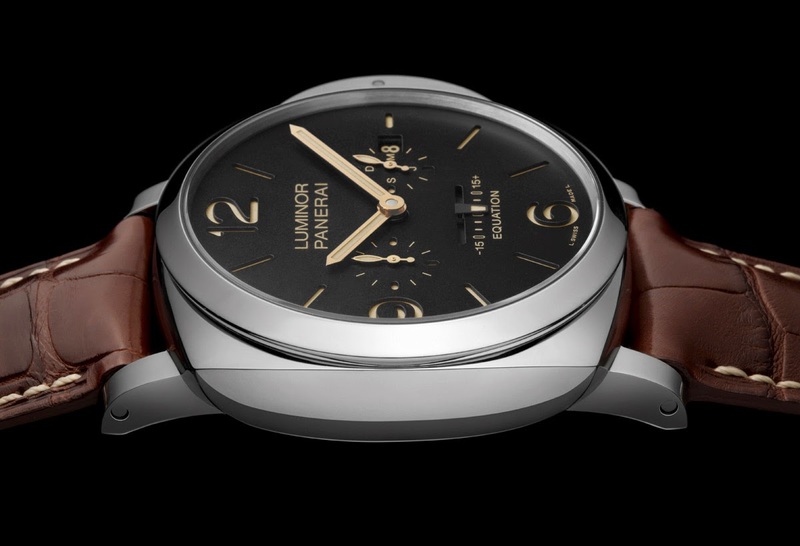 In the new Radiomir 1940 Equation of Time 8 Days and the Luminor 1950 Equation of Time 8 Days, presented by Officine Panerai at SIHH 2015, the equation of time is displayed by a linear indicator on the dial. 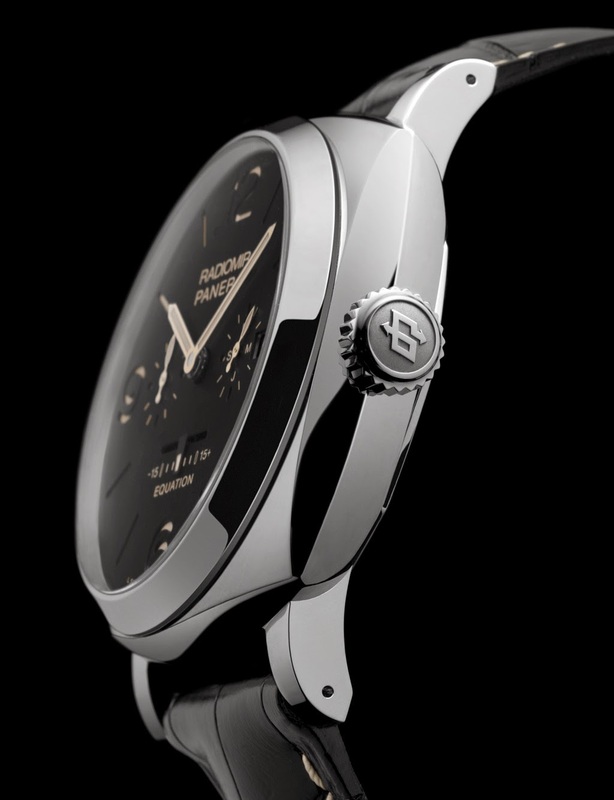 This solution does not alter the classic Panerai design of the two models, the Radiomir 1940 and the Luminor 1950, the second being the historical evolution of the former with its distinctive bridge device with clamping lever to protect the winding crown. Both cases are made of AISI 316L stainless steel, particularly resistant to corrosion, with a polished finish. 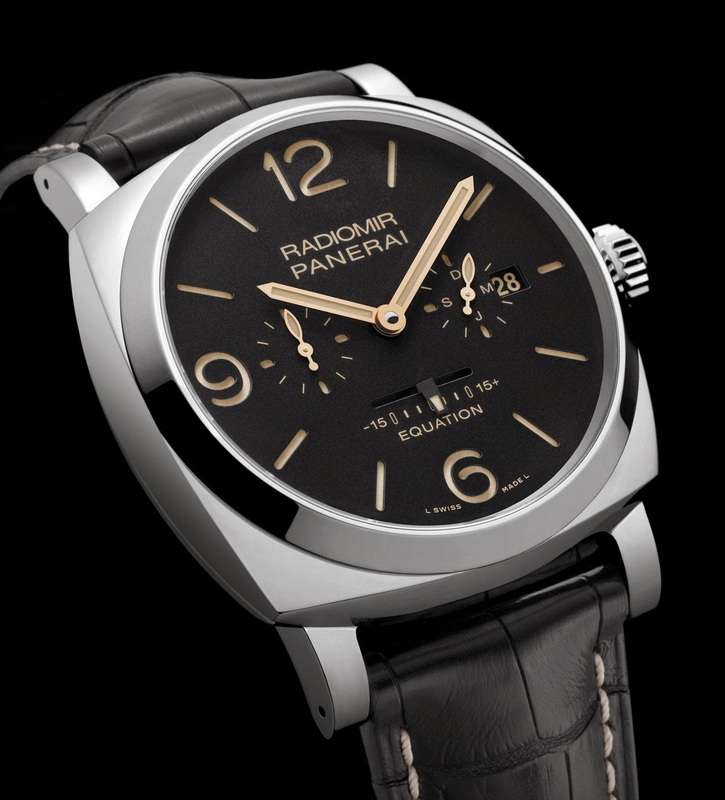 The Radiomir 1940 has a diameter of 47 mm while the Luminor 1950 of 48 mm. The black dial is constructed using the classic sandwich structure where two plates are superimposed with luminous substance between them for great legibility. As well as the linear indicator of the equation of time, the dial also contains the small seconds counter at 9 o’clock and, symmetrically positioned at 3 o'clock, the date window and the circular indicator of the current month. The hand-wound movement P.2002/E is visible through the sapphire crystal of the case back allowing the owner not only to admire the quality finishes but also to check the power reserve indicator. 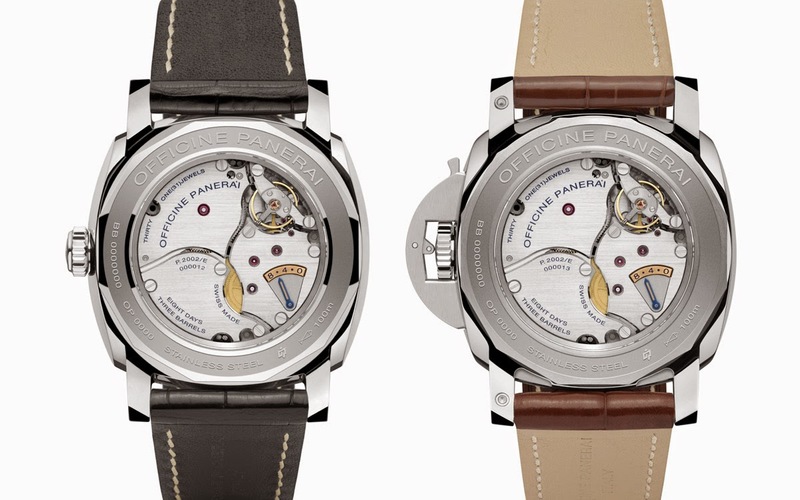 Thanks to three spring barrels the movement guarantees a remarkable power reserve of eight days. 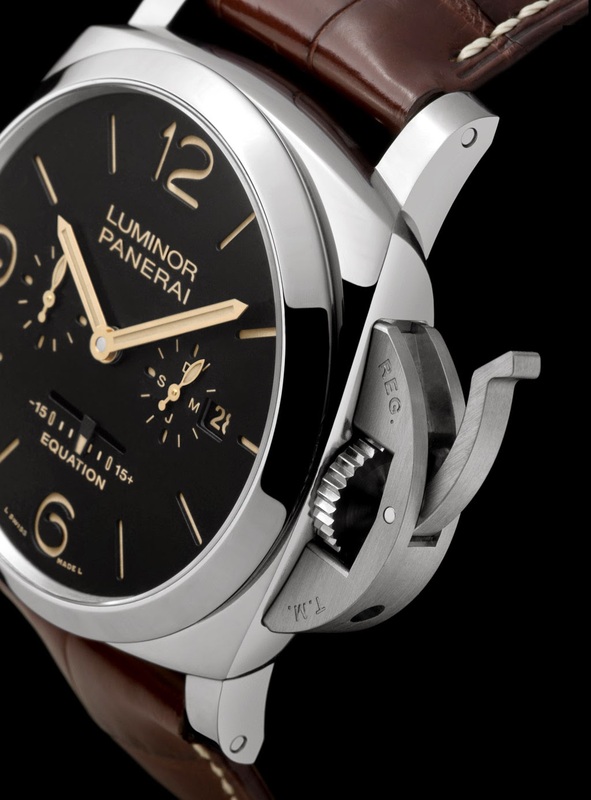 SIHH 2015: Officine Panerai Radiomir 1940 and Luminor 1950 Equation of Time. 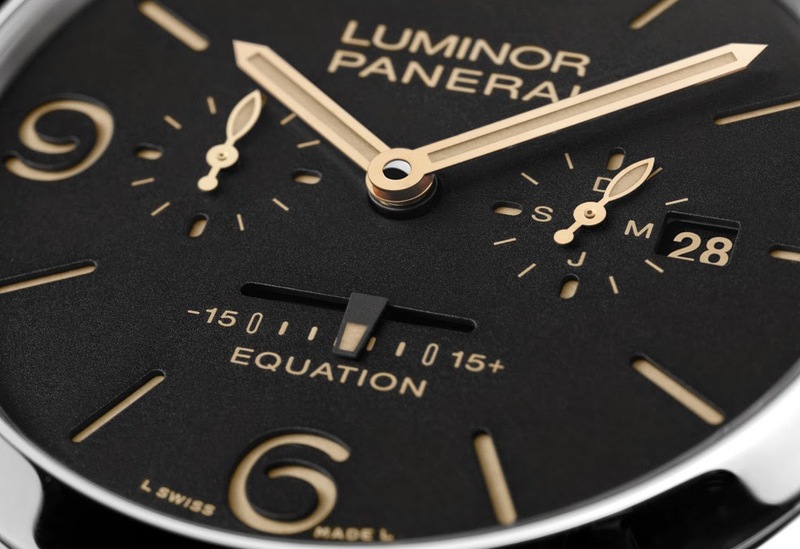 In the new Radiomir 1940 Equation of Time 8 Days and the Luminor 1950 Equation of Time 8 Days, presented by Officine Panerai at SIHH 2015, the equation of time is displayed by a linear indicator on the dial. 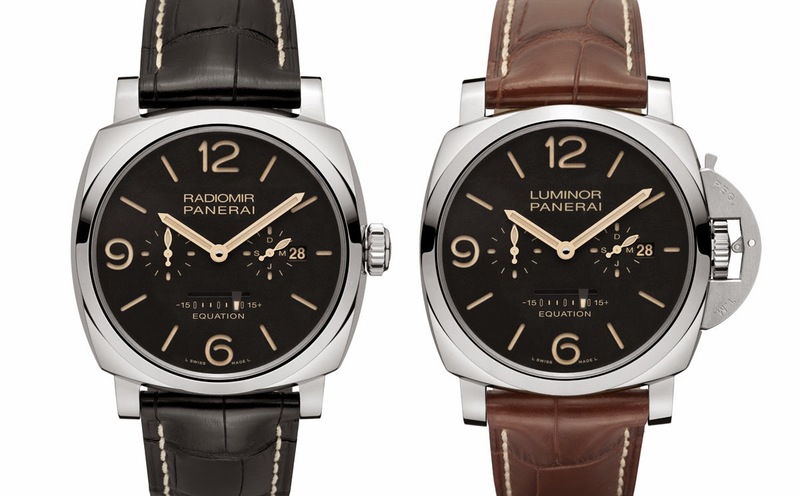 The Radiomir 1940 Equation of Time 8 Days (PAM00516) and the Luminor 1950 Equation of Time 8 Days (PAM00601) are two Special Editions of only 200 and 100 units respectively.